Ships tomorrow if you order in the next 21 hours 3 minutes. You may feel well now - but are you taking steps to keep your immune system in top shape? One of the best ways to support good health is to provide your body with antioxidants. And two of the most powerful are Vitamin E and selenium. They actually work well together as an antioxidant team. That's why MegaFood created its own E & Selenium supplement. This synergistic pairing comes to you in the most bioavailable form. It is derived from whole food sources like organic broccoli, organic spinach and organic rice bran. 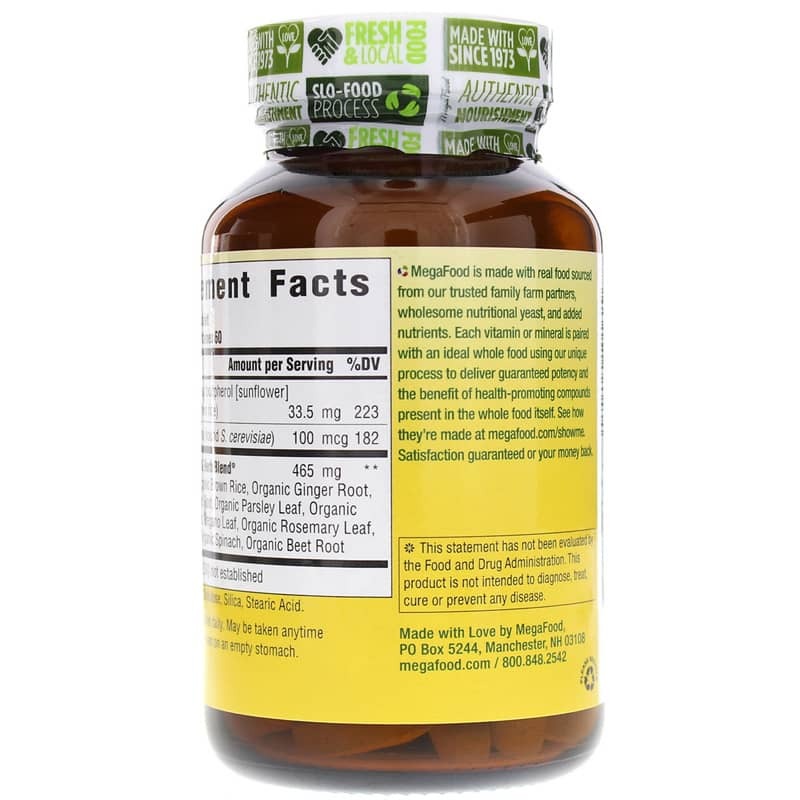 All the whole foods used to make MegaFood supplements are farm fresh and locally grown. They use a special Slo-Food Process that can deliver authentic nourishment. They are tested to make sure they are free of pesticides and herbicides. 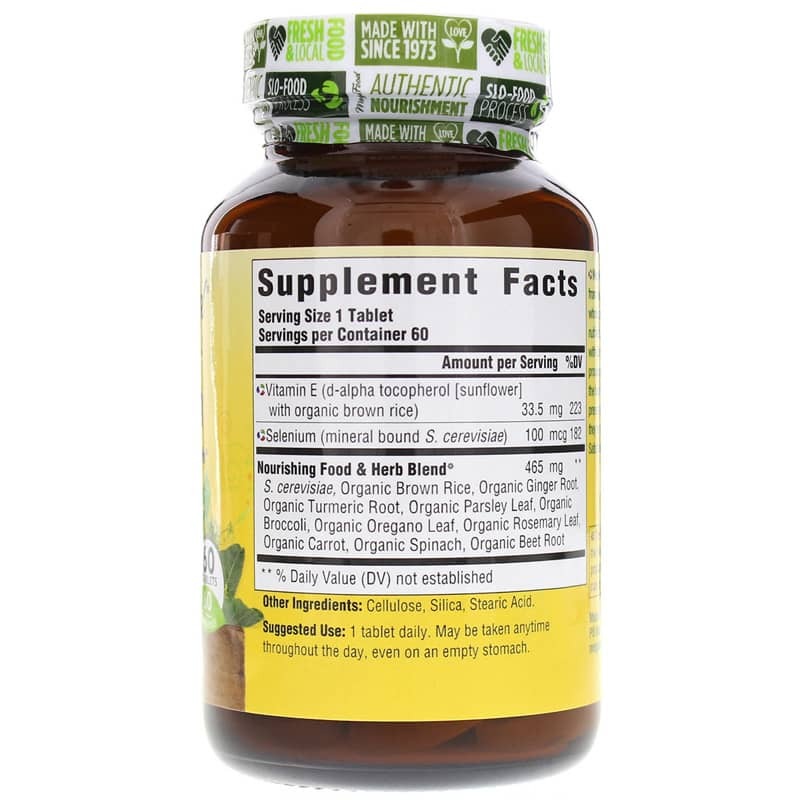 Get the powerful pairing of an essential mineral and an important vitamin in one supplement. 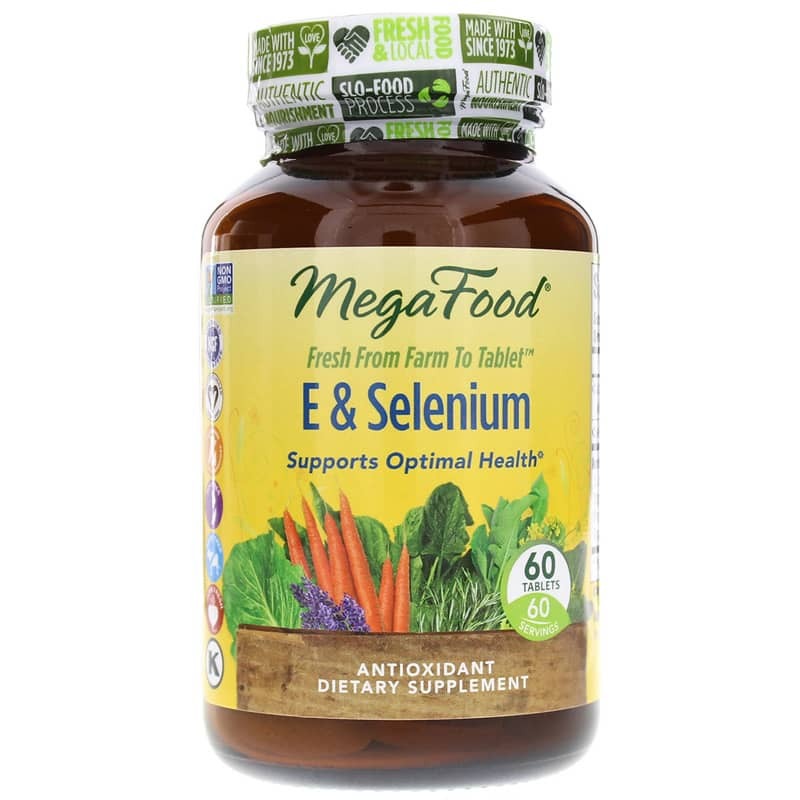 Choose E & Selenium from MegaFood today! Other Ingredients: cellulose, silica, stearic acid.